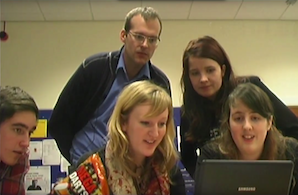 The ALCS organised a Student Day at the University of Sheffield on Thursday and Friday 24 and 25 November 2005. The Student Day was open to all university students of Dutch in Great Britain and Ireland. Over a hundred students were present from universities in Cambridge, Hull, London, Newcastle, Nottingham, Sheffield, and Dublin. It was an informal, fun occasion and an opportunity for students (and staff) to meet colleagues from other institutions. The activities were inspired by Dutch language and culture, but the emphasis lied more on celebration than on instruction. We think it was an enriching experience for all. The 2005 ALCS Student Day was organised in close cooperation with Passionate, an organisation for the promotion of literature from Rotterdam. On Thursday afternoon (24/11) there were poetry workshop for students under the guidance of De Woord Dansers. In the evening there was a poetry slam, involving De WoordDansers, a DJ, a VJ, and those students who liked to be involved. 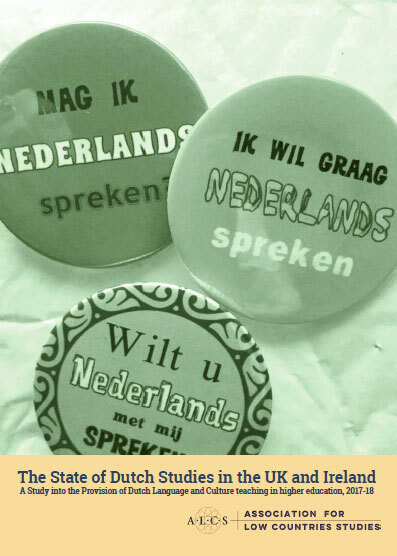 On Friday (25/11) Bob Moore of the History Department at the University of Sheffield gave a talk entitled: From Kuyper to Kok: British Perceptions of the Netherlands in the Last 100 Years. One of Bob’s research interests is the history of the Netherlands, especially the holocaust. His publications include Victims and Survivors: The Nazi Persecution of the Jews in the Netherlands, 1940-1945 (London: Arnold, 1997), also published as Slachtoffers en Overlevenden: De nazi-vervolging van de Joden in Nederland, 1940-1945 (Amsterdam: Prometheus, 1998), ‘”Goed en fout” or “grijs verleden”? Competing perspectives on the history of the Netherlands under German Occupation, 1940-1945’, Dutch Crossing XXVII/2 (2003) pp. 155-168, and ‘The Rescue of Jews in Nazi-Occupied Belgium, France and the Netherlands’, Australian Journal of Politics and History L/3 (2004) pp. 385-395. The ALCS had obtained a subsidy from the Nederlandse Taalunie for the organisation of the 2005 ALCS Student Day. All students’ travelling and subsistence expenses were subsidised, so there were no costs involved for participating students. Visitors from outside Sheffield were put up as much as possible in student accommodation. Some spend the night in hotels. The 2005 Student Day was made possible with financial Assistance of the Nederlandse Taalunie and the Royal Netherlands Embassy.